Denise in Los Angeles and anon(9721108) like this. 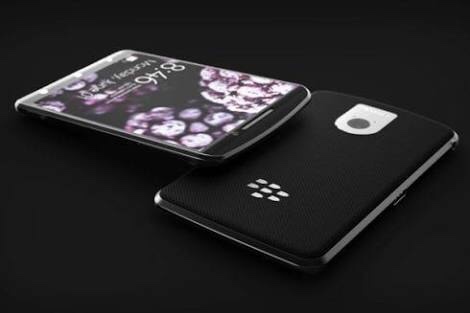 New are just one of many designs that BlackBerry offered TCL? Too be honest it really makes very little sense to release a SLAB phone, without a clear need by the Enterprise market. But then I'm not sure there is a "need" for another PKB phone. JOLT and File Manager sound like very interesting projects. One thing that I do think.... LinkedIn is probable not the place to post this kind of info. Great find!! This is very interesting. Correct me if I am wrong, but the illustrations show a PKB. The photos almost look like a slider. I could be seeing it wrong. Any new device is always exciting. I wonder if this will see the market this year still or not until 18. Perhaps this is going to be revealed at the Berlin event. I'm assuming the folks who work directly for Mobile Nations are not allowed to comment. However, always great to hear about new stuff coming (which I would have commented about in the survey). Am I smelling Priv 2? skinnymike1 and Sigewif like this. Some of the photos might be showing the PRIV, as portion of their work was software (JOLT and FOLDERs).... so testing it on the only Keyboard phone at that time would have been the PRIV. One of my biggest problems has been with how little BlackBerry has done in the last two years.... software has gotten some updates. But other than the Privacy Shade, nothing really new.... and nothing of really much use. This would point to possible some major improvements. I was hoping somebody can give an insight into it? @Bla1ze? @thurask? @conite? It's junk, older info. Jolt = Boost mode and Private Mode is just a feature lifted from Alcatel devices. - https://forums.crackberry.com/news-r.../#post13002678. It'll be cool if they bring it to BlackBerry Mobile devices but that's pretty much the only thing worth mentioning there. It's junk, older info. Jolt = Boost mode and Private Mode is just a feature lifted from Alcatel devices. Perhaps this is going to be revealed at the Berlin event. OK ... how about the waterproof Black version of the KEYone? It would need a redesign for that; waterproof keys (good old rubber), sealing the ports and microphones, gluing the screen on, the works. PantherBlitz and Carjackd like this. it's been pretty scarce. No rumors. I guess K1 was the BlackBerry we all waited for? I hope that TCL ups their game with the internals. Not just the usual RAM and processor but things like camera, audio DAC, bluetooth 5.0 etc. I think the slab should directly compete with the flagships because the mid and lower segments are already covered in TCLs inventory. Think of Blackberry Bold 9700 without a keyboard (full touch screen). -same thickness as with the Bold 9700 to make room for a huge battery. 4500 mAh? attached are some renderings just to give you guys an idea about the size. Near bezelless phones with huge batteries and 4.7-5.0 inches would totally have a place in the market. Hope there are some with the rendering capabilities. That phone would be a tank. It's not about what's in TCL inventory (unless it can be built on existing production lines)... but about what does ENTERPRISE need with the BlackBerry Security solutions? I would expect simple upgrades for the DTEK50 and DTEK60 would be all that would be necessary. Price points are the key, not specs. Enterprise is of course another field. I was only commenting on the consumer market. I really do believe a bezelless phone with a big a** battery and nice design would be compelling to people. Pretty compact device with a large enough screen and great battery life. As for the software side of things, I really don't want to comment. This occured to me since I sold my Priv and couldn't find a Keyone in stock and now I have to live with my old bold 9700. Fortunately wife lets me use her iphone for crackberry forum needs . The size of the bold is perfect in the hand. This is my dream phone -bold with a full touch screen and big battery. It is interesting to point out that while the information (as identified above by our members) may be considered old, her LinkedIn page has been stripped of all that information, and her own web page as identified by the Reddit user has been suspended. Last edited by zephyr613; 08-28-17 at 02:09 PM. Consumer side is handled by Alcatel brand. It is interesting to point out that while the information (as identified above by our members) may be considered old, her LinkedIn page has been stripped of all that information, and her own we page as identified by the Reddit user has been suspended. Where these is smoke there is fire....Bla1ze likely is just trying to take attention away as I'm sure this info wasn't supposed to be out there. Stop posting those renders! Those are probably 4 years old! Bla1ze might not be able to talk about things he knows... that doesn't mean he is involved in counter espionage and purposefully misleading readers for TCL. Sometimes when there is smoke... that's really all there is. I wasn't saying he is involved in any counter espionage. I'm saying given that more devices have already been confirmed by TCL and he clearly can't speak about them yet likely knows more then most, he can't say much more then what he is saying. Don't worry, I wasn't knocking Bla1ze. Its okay. zephyr613 and Dunt Dunt Dunt like this. ¿cuando volveran a sortear el blackberry keyone? BlackBerry KeyONE keyboard gestures disabled? Why my Blackberry Priv STV 100-4 doesn't charge when is on?